dal paratha recipe | dal ka paratha | chana dal paratha recipe with a detailed photo and video recipe. a healthy and tasty protein-rich lentil based bread recipe or paratha recipe. the lentil stuffing is mainly prepared channa dal which not only makes it tasty, but also provides much-required protein to the diet. 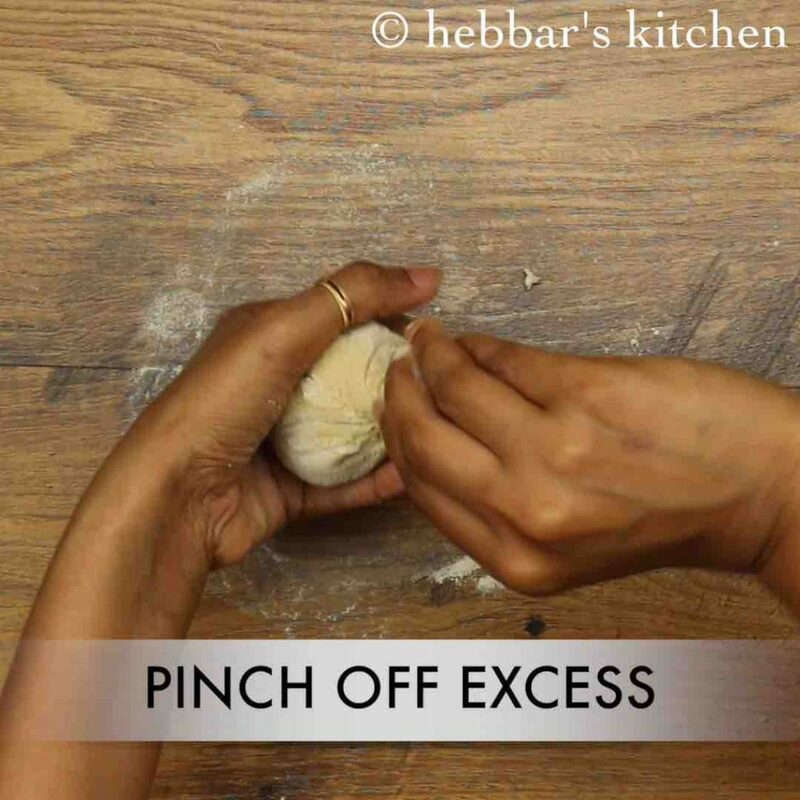 these paratha’s are ideal bread recipe to be served for dinner and can be relished with simple curd or pickle recipes or any north indian curries. dal paratha recipe | dal ka paratha | chana dal paratha recipe with step by step photo and video recipe. 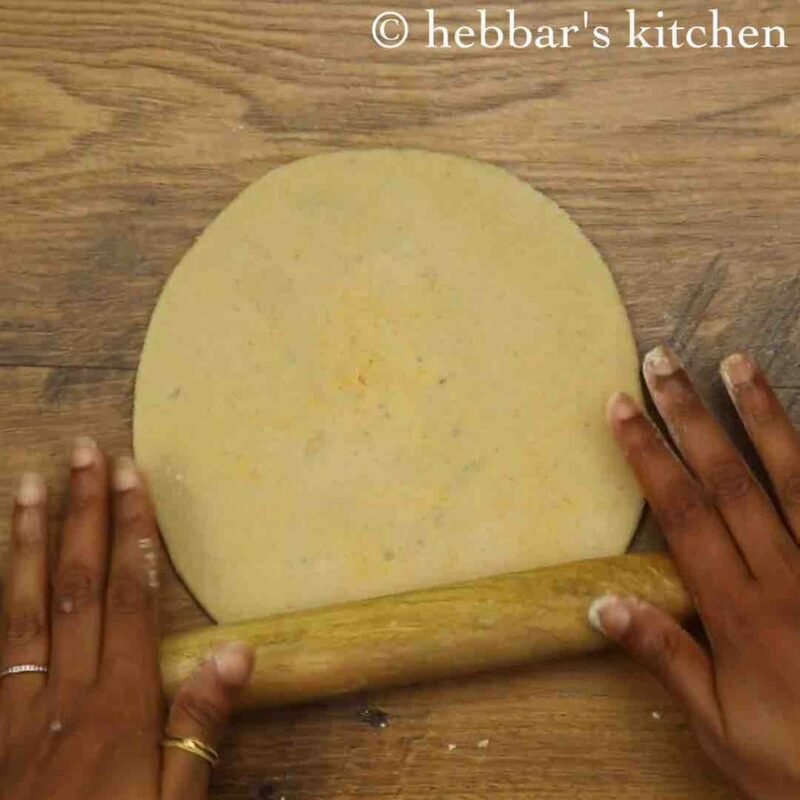 simple and unique paratha recipe mainly prepared with lentil stuffing as compared to the traditional one which is typical with vegetable stuffing. apart from being the tasty paratha’s, these are a complete meal with both vitamins and proteins supplied from wheat and lentils respectively. as of now i have not shared the authentic puran poli recipe from maharashtra or saurashtra region but these chana dal paratha recipes are very similar to it. having said that i have already shared the traditional holige or obbattu recipe from karnataka which cannot be said a similar recipe but has the similar ingredients. so basically in dal ka paratha recipe, the lentil stuffing is made spicy whereas in puran poli the stuffing is sweet by mixing it with jaggery or sugar. hence i personally like the dal ka paratha recipe compared to the traditional veggie stuffed. so in a single attempt, i can prepare both puran poli and dal paratha recipe by having separate sweet and spicy chana dal stuffing. 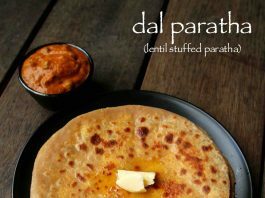 while the recipe is extremely simple to prepare, yet some tips, recommendations and serving suggestions for dal paratha recipe. firstly, in this recipe, i have used chana dal or split chickpeas lentil which is a popular way of making it. having said that the same recipe can be easily extended to have the combination of lentils like toor dal, moong dal or either one of them. secondly, and perhaps more important one is to have a dry lentil stuffing. make sure you do not add water or any moisture while blending it. 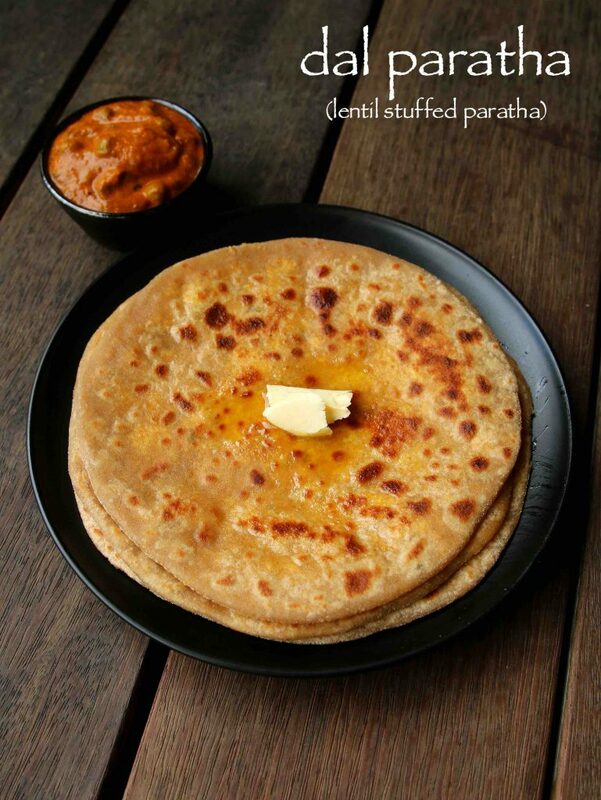 lastly, you can easily serve these paratha’s as it without any side dish. but it also taste’s great when served with yoghurt / curd or spicy pickle. firstly, in large vessel take 1 cup chana dal, soaked for 3 hours. boil for 15 minutes or till chana dal turns soft yet retain their shape. drain off the water and keep aside for 30 minutes or till water is drained off completely. 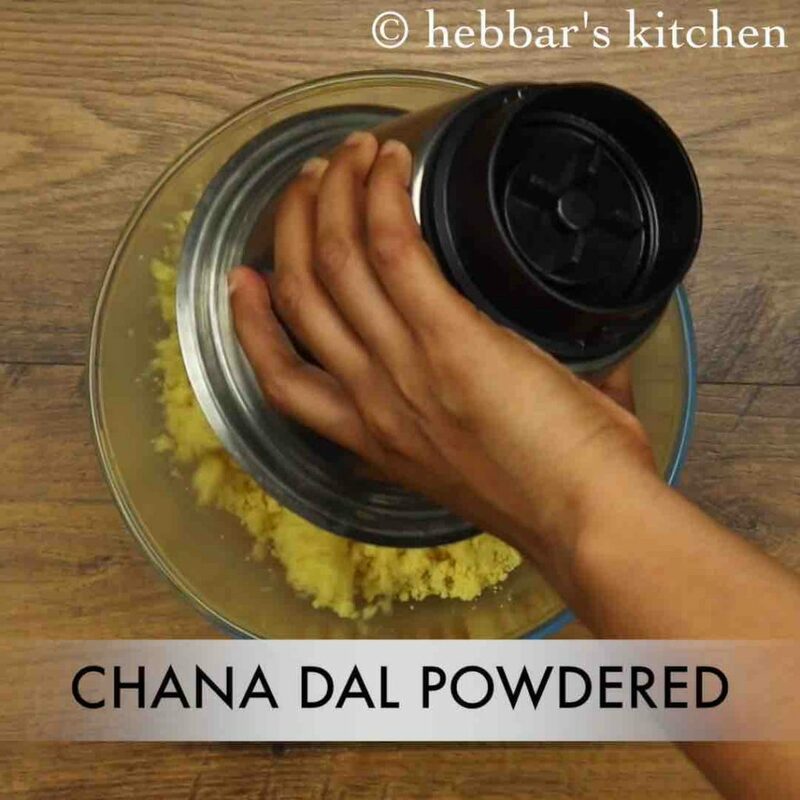 transfer the cooked chana dal into a blender and grind to a fine powder. 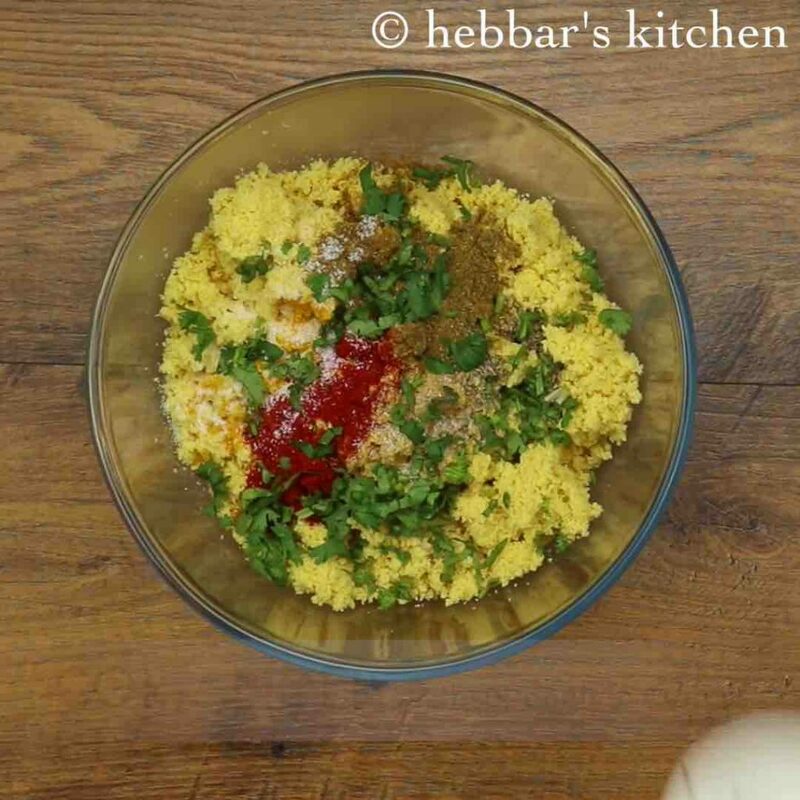 add ¼ tsp turmeric, ½ tsp chilli powder, ½ tsp aamchur, ½ tsp garam masala, ½ tsp cumin powder, ¼ tsp ajwain, ½ tsp salt and 2 tbsp coriander leaves. mix well making sure all the spices are combined well. 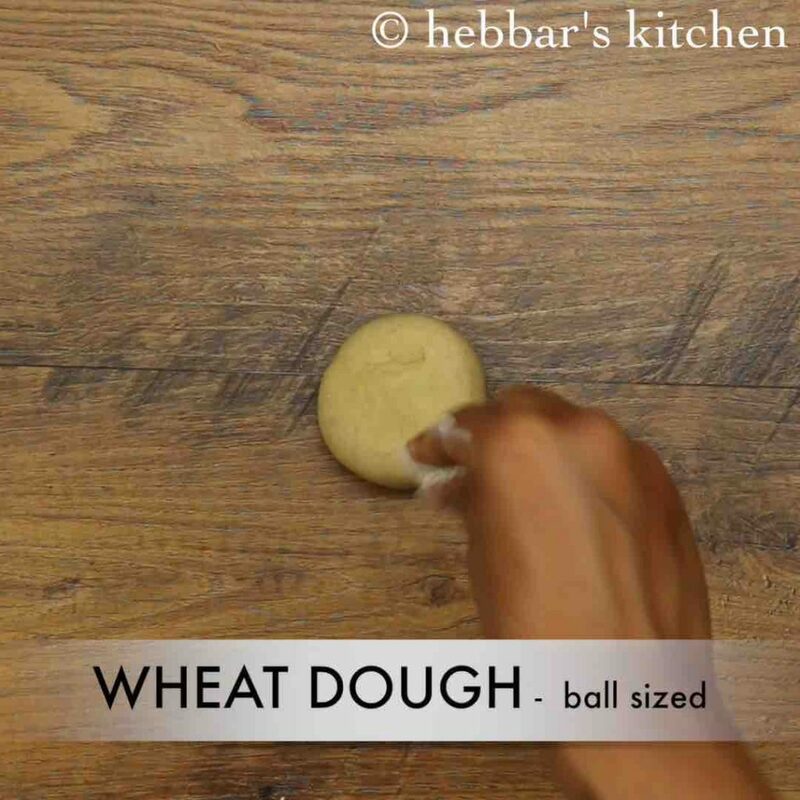 pinch a ball sized wheat dough and dust with some wheat flour. 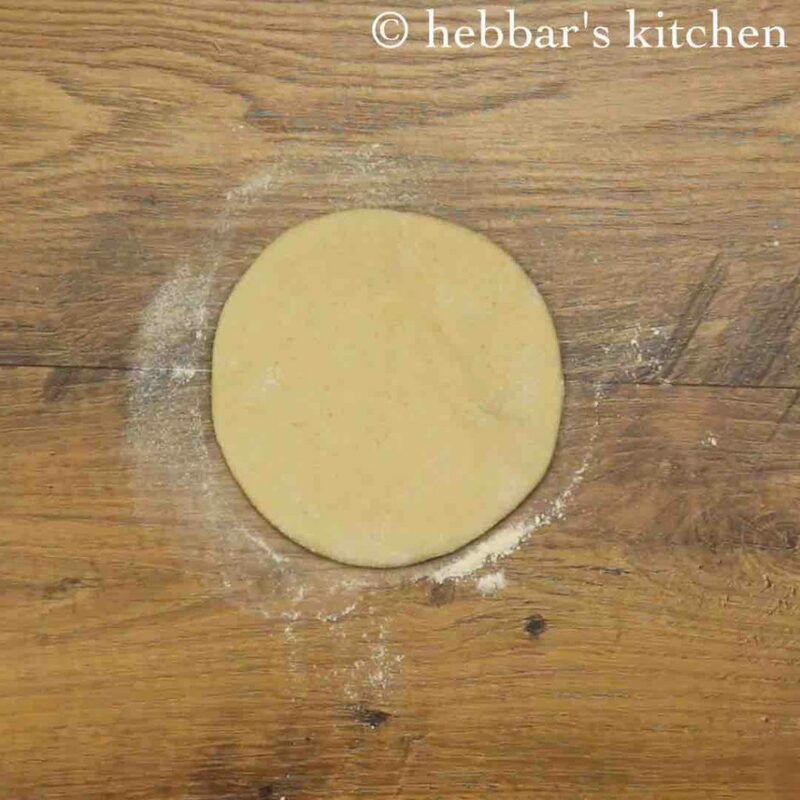 check pizza paratha recipe to check how to prepare the wheat dough. further, roll it in a circle of about 5 to 5.5 inches in diameter. place a ball sized chana dal stuffing in the centre. take the edge and start pleating bringing to centre. sprinkle some wheat flour and roll slightly thick. 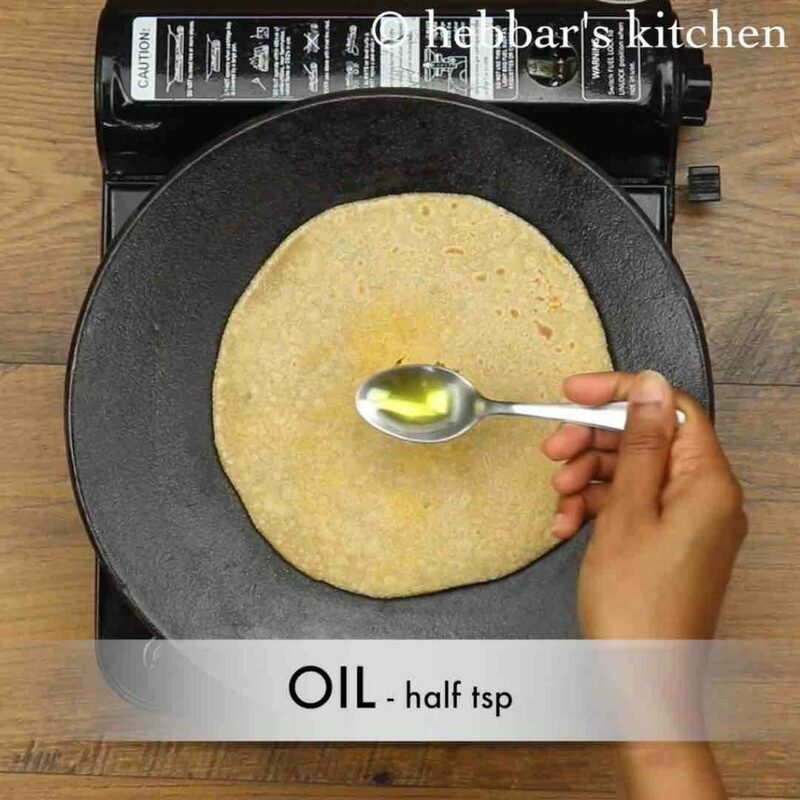 on a hot tawa place the rolled paratha and cook both sides brushing oil. 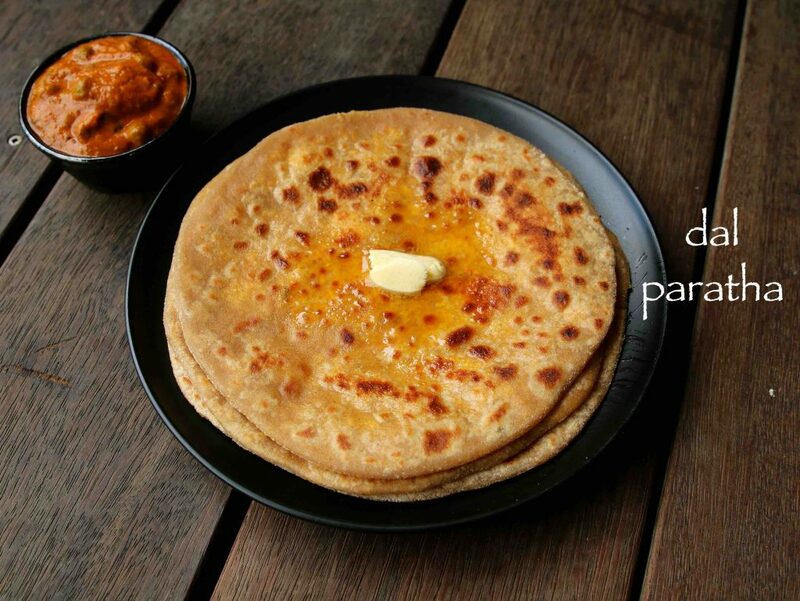 finally, serve hot chana dal paratha with sauce, raita or pickle. 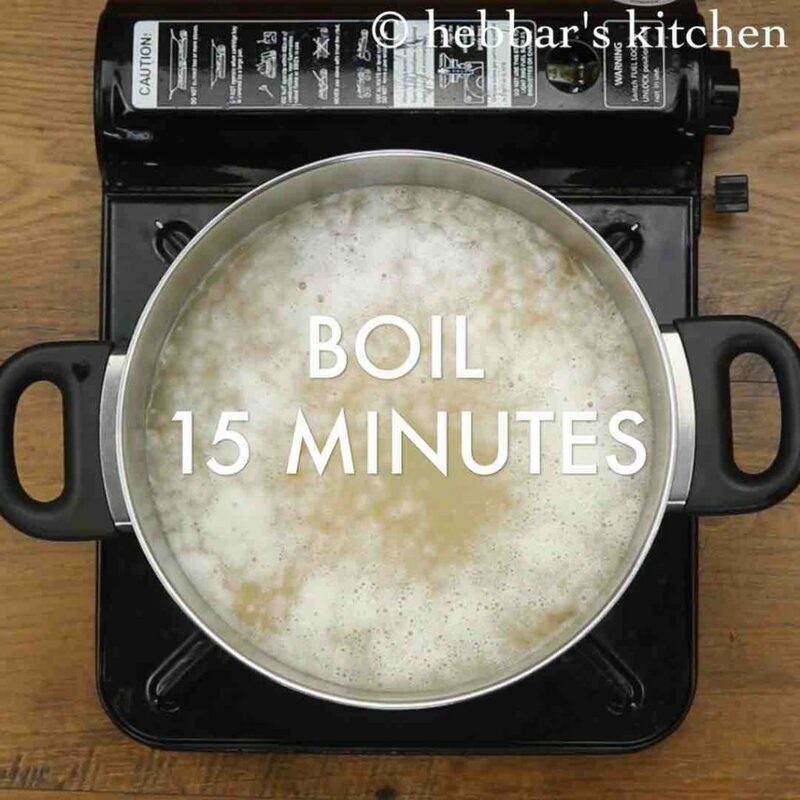 boil for 15 minutes or till chana dal turns soft yet retain their shape. you can alternatively pressure cook for 2 whistles adding 2 cups water. 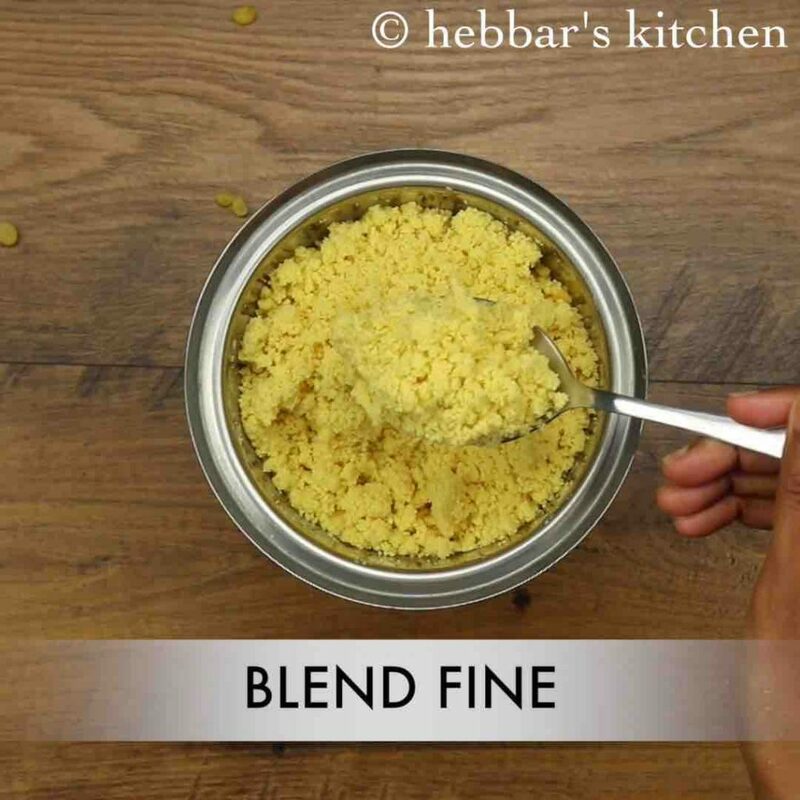 transfer the cooked chana dal into a blender and grind to a fine powder without adding any water. 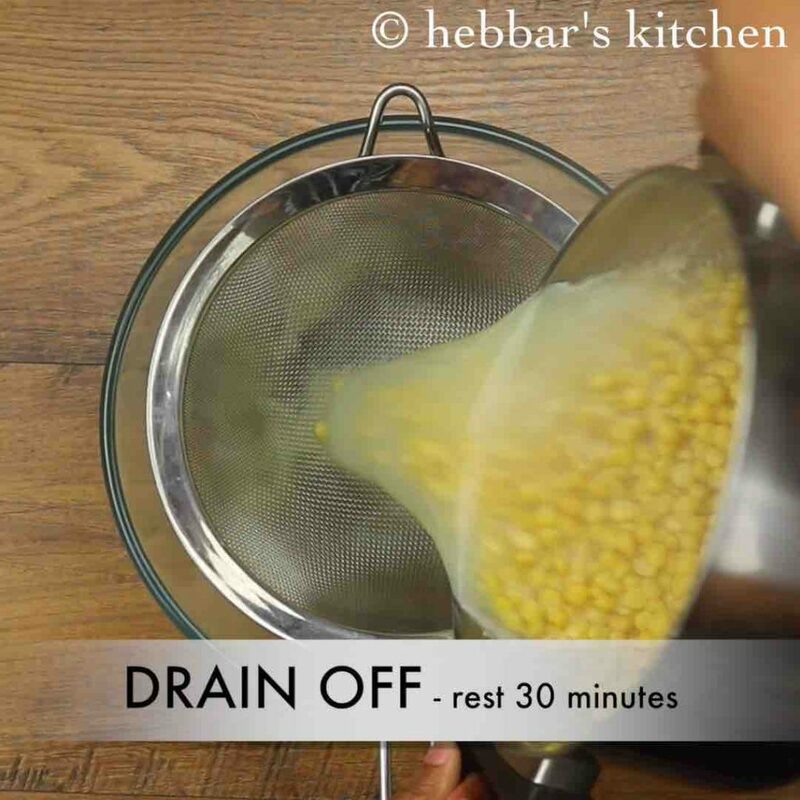 now transfer the cooked chana dal powder into large mixing bowl. also join the pleats together and secure tight pinching off excess dough. 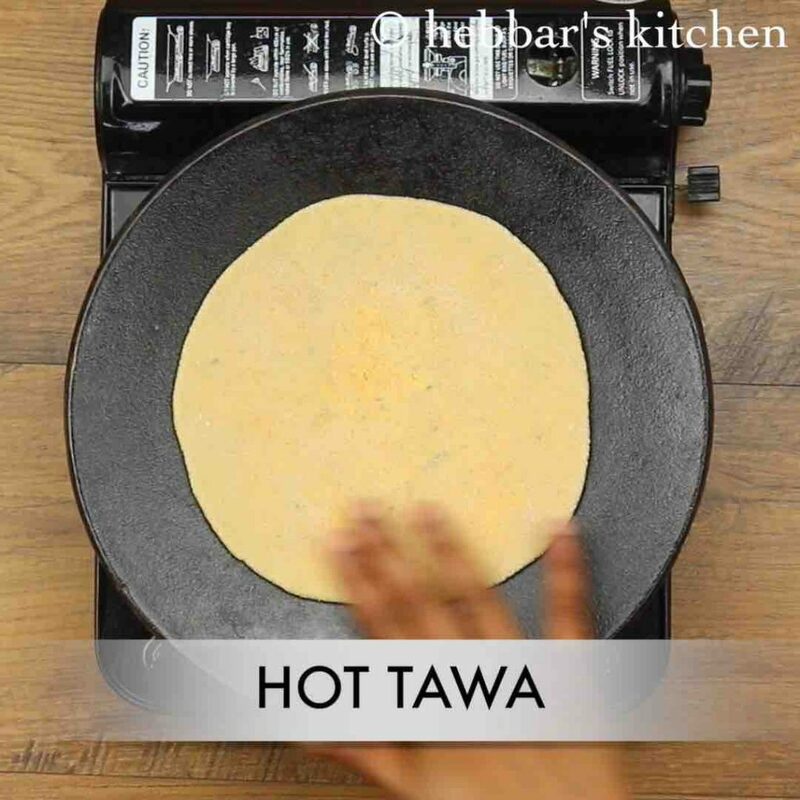 on a hot tawa place the rolled paratha and cook for a minute. furthermore, flip the paratha when the base is partly cooked (after a minute). also brush oil / ghee and press slightly. 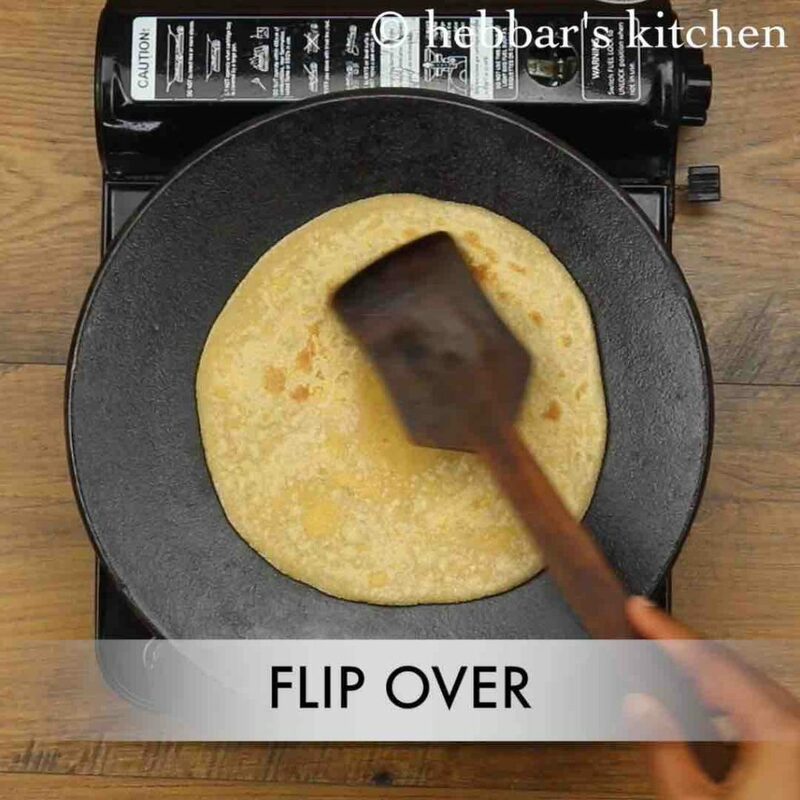 flip again once or twice till both the sides are cooked properly. 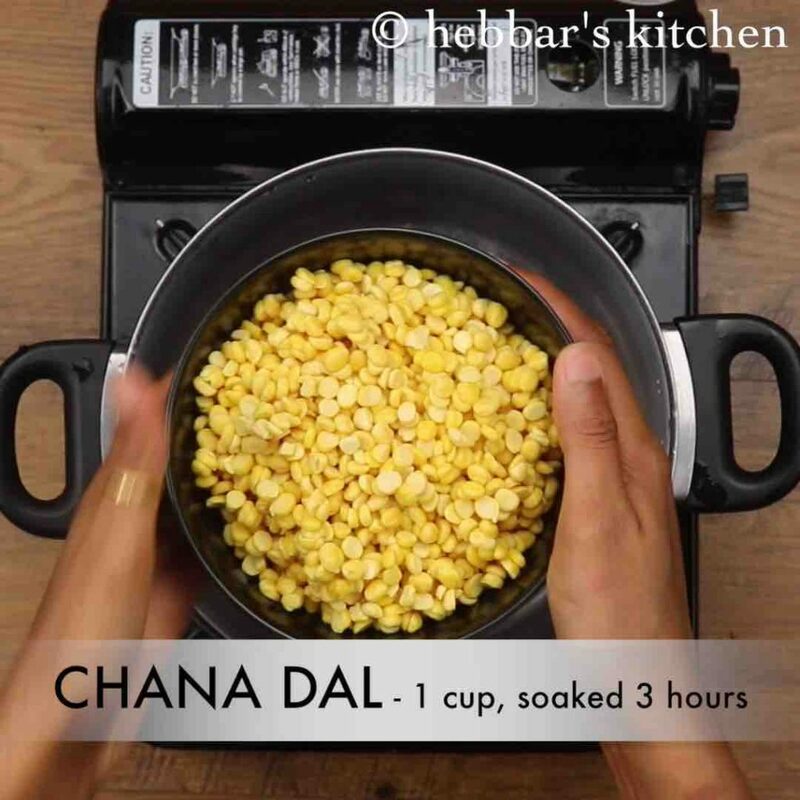 firstly, soak the chana dal well to reduce the cooking time. also, make sure to drain off the water completely once cooked, else it will be difficult to blend and stuffing turns to water. 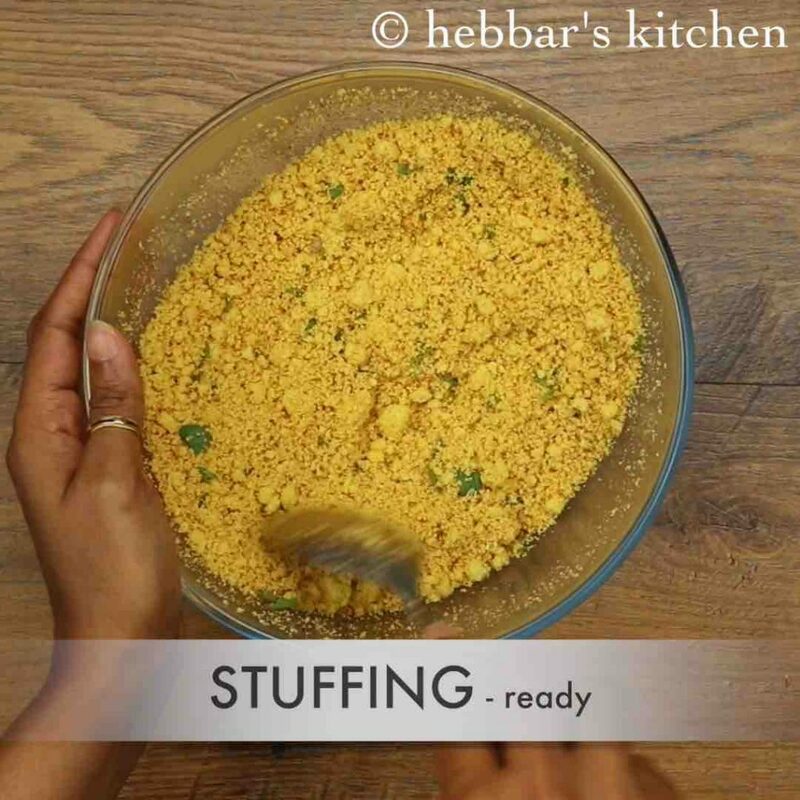 additionally, add finely chopped onions to the stuffing to enhance the flavour. finally, chana dal paratha recipe tastes great when roasted with ghee.